Controversy that reached the boiling point at times, and plot twists suitable for a novel by Philip Craig or Cynthia Riggs, made 2016 a year to remember on the Vineyard. For better or worse, it was a time of rallying and resistance — to projects, political candidates, and change itself. Islanders fumed at proposals to relocate a film festival to West Tisbury and to replace high school playing fields with artificial turf. A heart-wrenching accident at the height of the summer season renewed calls to ban mopeds, and several major projects folded under scrutiny from Island boards and residents. But amid the discord, a deep concern for preserving the Island’s character and year-round community shined through. Islanders rallied around efforts to reduce the incidence of tick-borne illness, restore the health of coastal ponds, create more year-round housing and protect their natural environment. 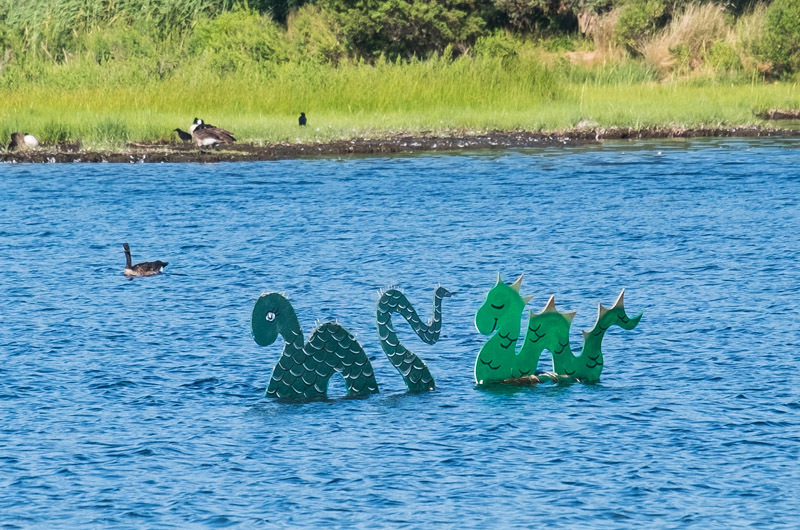 Years of scientific study and reports gave way to new health regulations in Tisbury to greatly reduce nitrogen from septic systems in the Lagoon Pond and Lake Tashmoo watersheds. Debate surrounding the new rules continued throughout the summer, with the town board of health eventually dropping a proposed wastewater fee and requiring advanced denitrifying septic systems instead. As a board of health regulation, the rules did not require voter approval, and went into effect in October. At the same time, the Massachusetts Estuaries Project, which has studied nearly all the Island ponds over the years and identified wastewater nitrogen as the main threat to pond water quality, is entering a new phase, focused more on solutions than monitoring. 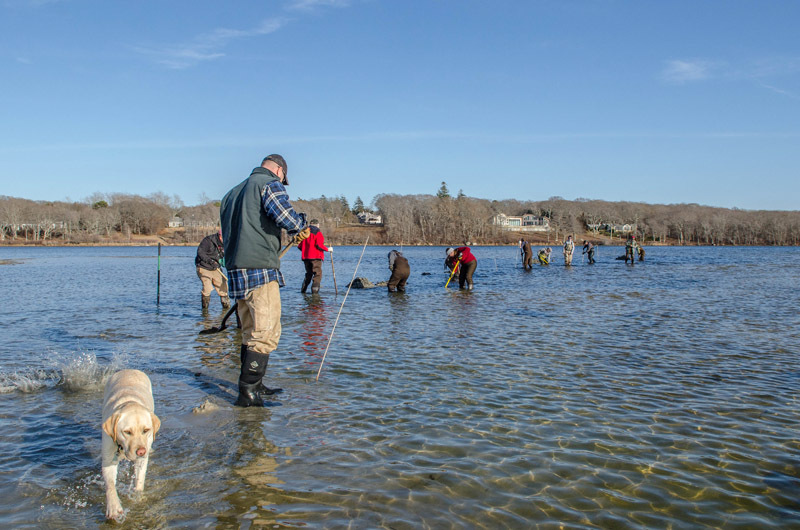 MEP director Brian Howes, along with other scientists, officials and policy experts, helped lay a foundation for future work at the Island’s first ever coastal pond conference, hosted by the Martha’s Vineyard Commission in May. The commission this year also began updating its 10-year-old water quality policy, in light of the MEP reports. The year marked a new chapter for nesting shorebirds, which have rebounded enough for federal and state agencies to loosen restrictions on beach recreation in the spring nesting season. 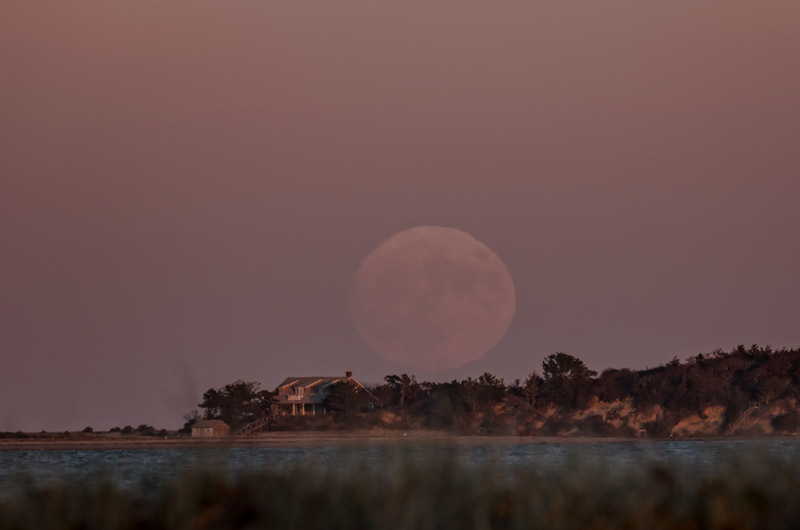 A 26-year habitat conservation plan for Massachusetts, announced in July, was a welcome reprieve for Island surfcasters, who may now enjoy some increased vehicle access on Chappaquiddick in the spring. And it was a banner year for osprey, whose 90 active nests and 144 fledglings marked a new record for the Island. An annual osprey census saw 27 volunteers log a total of 1,800 hours counting the birds that were once endangered here. Perhaps ironically, things are also looking up for the extinct heath hen, which may someday repopulate its Island stomping grounds, where the last known specimen died in 1932. A group of scientists and naturalists has made progress in efforts to recreate a version of the species using genetic technology. Project leaders are calling the heath hen the top candidate in the world for de-extinction, given its status as a unique species and the possibility of establishing a germ cell culture from prairie chickens. In the nearer-term, Island wildlife will likely benefit from a ban on single-use plastic bags, which voters in every town except Oak Bluffs adopted this year, following the lead of dozens of communities across the state. (The Oak Bluffs selectmen decided to table the idea for further study.) The ban goes into effect next week, except in Edgartown, where voters opted for a start date of Jan. 1, 2018. At year’s end, members of the Vineyard Conservation Society, which spearheaded the efforts, were distributing reusable bags in Vineyard Haven and helping promote the new shift in consumer awareness. Despite some pushback from the business community, many residents strongly supported the initiative. “The plastic bag ban is not necessarily the easy route for us,” business owner Louis Hall said at the Tisbury annual town meeting in April, “but I think living on Martha’s Vineyard is not the easy route also, and the hard path is sometimes the best path.” The article passed with applause at every town meeting where it appeared. A similar ban is in the works for the state as a whole. 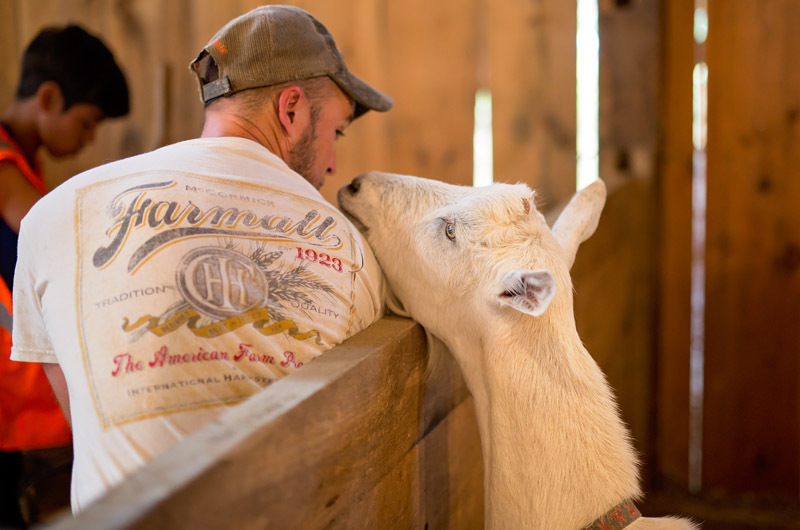 The Vineyard also joined a growing number of communities that have sought to reduce the incidence of tick-borne illness by targeting white-tailed deer, which ticks depend on for food and habitat. Island biologists and medical experts have called for a reduction in the size of the Island herd, mainly through increased access to hunting land. A number of up-Island property owners this year agreed to allow hunting on their land, although the reduction efforts are expected to take years, with no guarantee of success. “We are definitely venturing into new territory,” Island biologist and tick expert Richard Johnson, who is leading the charge, told the Gazette in July. Nevertheless, many residents are onboard, given the Island’s exceptionally high incidence of tick-borne illness. A Gazette survey in the summer revealed strong support for both reducing the size of the herd and targeting white-footed mice, which are the main hosts for Lyme and other tick-borne diseases. The environmental and public health efforts appeared to follow a wider trend this year of rallying around issues that have long rankled the Island. Moped rentals again became the target of intense criticism this summer when two visiting college students lost control of their moped and collided with a truck on Barnes Road. Both students were seriously injured and one lost part of her leg in the crash. To make matters worse, both were top division one lacrosse players at the University of Massachusetts at Lowell. The number of mopeds on Island roads has declined significantly since the 1980s, but the accident reignited longstanding frustrations among Islanders for whom the slow-moving and sometimes hard-to-control vehicles present an unacceptable danger in the summer. A petition asking Gov. Charlie Baker to require moped dealers in the state to rent only to people with licenses similar to those required for motorcycles had more than 1,500 signatures as of this week. In contrast to the moped issue, at least one longstanding controversy appeared to cool this year, with two offshore wind developers well on their way to developing large wind farms in federal waters south of the Vineyard. But one of the proposals has stirred its share of criticism. Andy Revill, a representative for the Danish conglomerate Dong Energy, traveled to the Island in February to meet with stakeholders about the company’s plans for a wind farm beginning about 14 miles off Aquinnah. He had a cool reception in Chilmark, where fishermen sharply questioned the logistics surrounding a proposed sea-floor survey in the spring. Wes Brighton, a commercial fisherman based in Menemsha, suggested a winter time frame instead to avoid conflicts with fishermen in the area. “That’s your best bet if you don’t want to get a hammer through your windshield,” he said. “You guys sent people to the moon, so I’m sure we can work this out,” said Mr. Revill. Meanwhile, Vineyard Power, the Island energy cooperative, has teamed up with OffshoreMW, another Danish-owned company seeking to capitalize on the wind resource off the Island. The projects would mark the first offshore wind developments in the state, and possibly the second and third in the country, after the Block Island Wind Farm began producing energy in December. 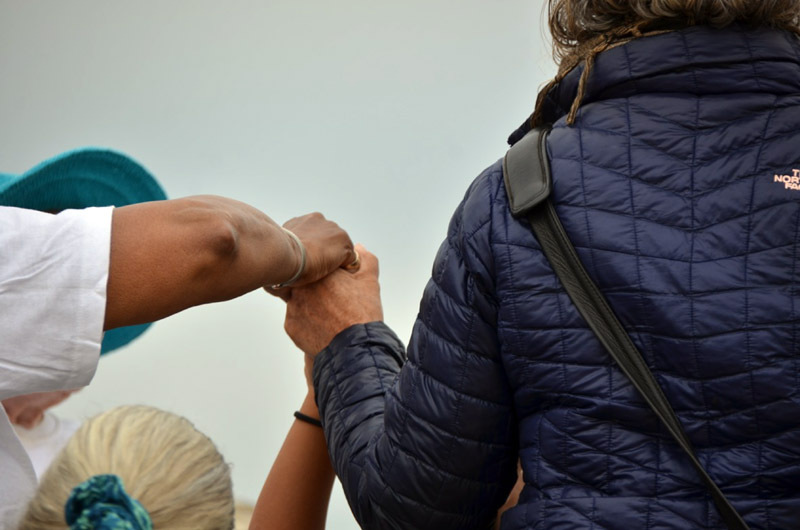 Other issues closer to home took precedence this year, with organized and often vigorous campaigns to address some of the longstanding problems facing the year-round community. Island leaders took aim at a chronic shortage of year-round affordable housing, with the all-Island planning board launching an initiative in January to develop state-certified housing production plans, which will help chart a course for affordable and community housing development in each town. A series of public workshops wrapped up in December and will contribute to the final housing plans, along with an update to the MVC’s 2013 housing needs assessment in the new year. A related but less visible problem also gained public attention, with a first-of-its-kind Island food equity summit in the fall addressing issues related to hunger, which affects hundreds on the Vineyard every year, especially single parents, children, the elderly and people with an illness. A network of Island programs and services, including Island Grown Gleaning and Meals on Wheels, helps fill the need on a daily basis, but can only go so far. Participants in the three-day workshop plan to report back on their work in January. Unlike some Islandwide initiatives, town boards and governments had a hard time this year getting major projects off the ground, with some projects stopped cold or stalled by public opposition and other obstacles. A long-planned effort to restore Squibnocket Beach in Chilmark, including a new parking lot and access road to the homes at Squibnocket Farm, remains mired in litigation, with a group of residents having filed an appeal following the town conservation commission’s unanimous approval of the project in May. The office of Coastal Zone Management has decided not to fund the effort this year, having already awarded two large grants that couldn’t be spent in time, due largely to the ongoing public debate. The nearby dredging of Menemsha Channel between Chilmark and Aquinnah is now in its second winter, with contractor J-Way Inc. of Avon, Ohio, back on site after missing a state deadline to protect migrating winter flounder last January. The Army Corps of Engineers fired the company last spring after it failed to remove equipment from the site, but to the surprise of many, agreed to keep the company onboard in the fall. The Chilmark selectmen expressed disappointment but not surprise when J-Way had again struggled to make significant progress by December. The winter flounder deadline is Jan. 31. 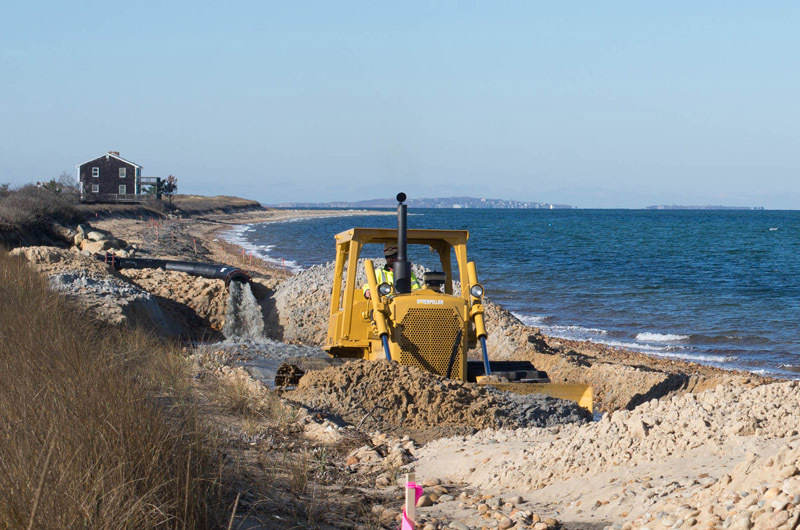 At the other end of the Island, the Martha’s Vineyard Refuse District and Oak Bluffs water district both struggled to sell the public on ambitious projects that were eventually sent back to the drawing board. The refuse district had hoped to more than double the footprint of its central transfer station in Edgartown, and had gained voter approval in 2015 to borrow the required $2.5 million. But after the district missed a 45-day window to obtain the votes following its own vote in 2014, the four member towns (Edgartown, West Tisbury, Chilmark and Aquinnah) had to vote again. Enough questions had surfaced during an MVC review to make Edgartown voters change their minds, and they killed the project. 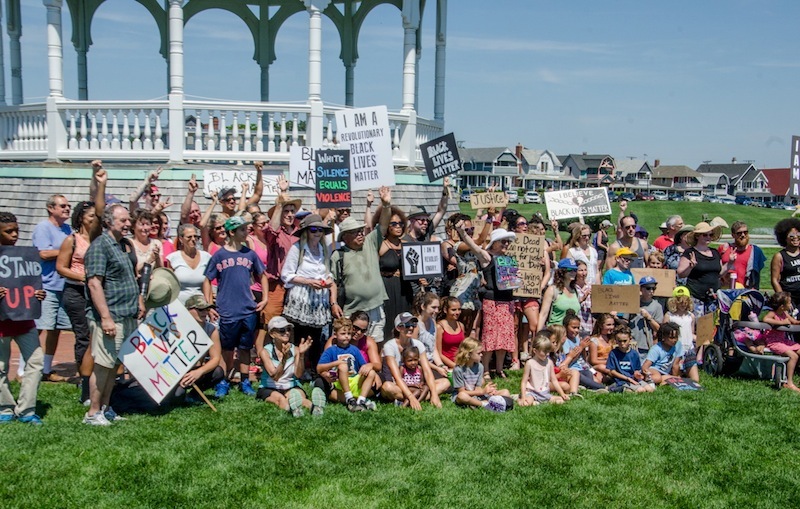 The Oak Bluffs water district also faced scrutiny at the MVC, with ecologists from on and off the Island strongly opposing its plans to replace a protected ancient woodland with a 1.5-megawatt solar array to defray operating costs over 20 years. The commission voted the project down. At the same time, a long list of private projects seemed to press all the wrong buttons. 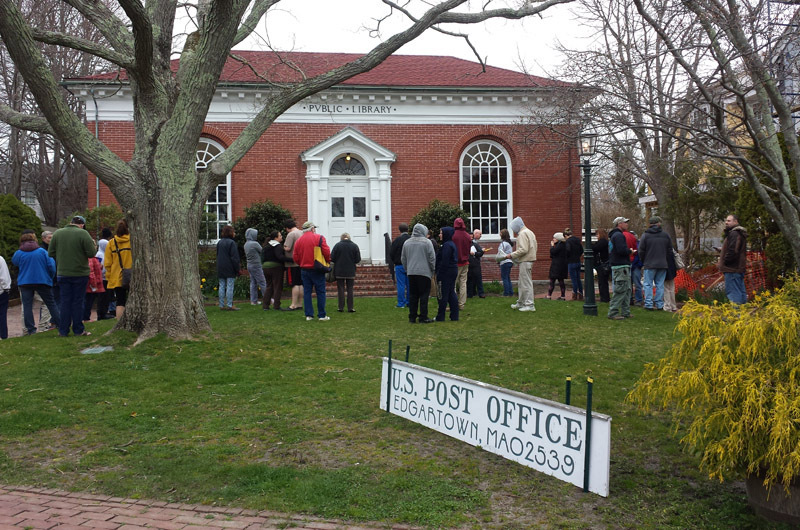 On the cusp of the summer season, thousands of Edgartown residents found themselves collecting mail from the old Carnegie library on North Water street, when renovations to the building at Post Office Square failed to take the necessary precautions and damage from rainwater caused the building to close for weeks. 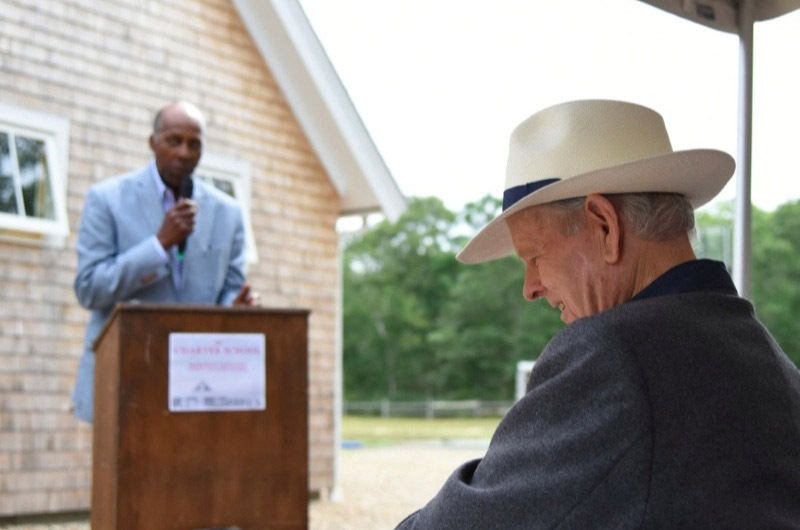 It was a stroke of luck that the library itself was vacant following a relocation to a new building on Edgartown West Tisbury Road earlier in the year. The Martha’s Vineyard Preservation Trust, which took ownership of the old library in 2015, quickly stepped in to offer it as a temporary post office. As a longer-term plan, the trust plans to convert the building into a Vineyard maritime heritage center. The newly renovated post office opened its doors in May, although long lines remain a sore point for many customers. At around the same time, tempers flared over a plan by the Martha’s Vineyard Film Festival to relocate to a large tract of farmland in the West Tisbury historic district. It all started with a newsletter from the festival board announcing the purchase of 12.5 acres fronting Old County Road. 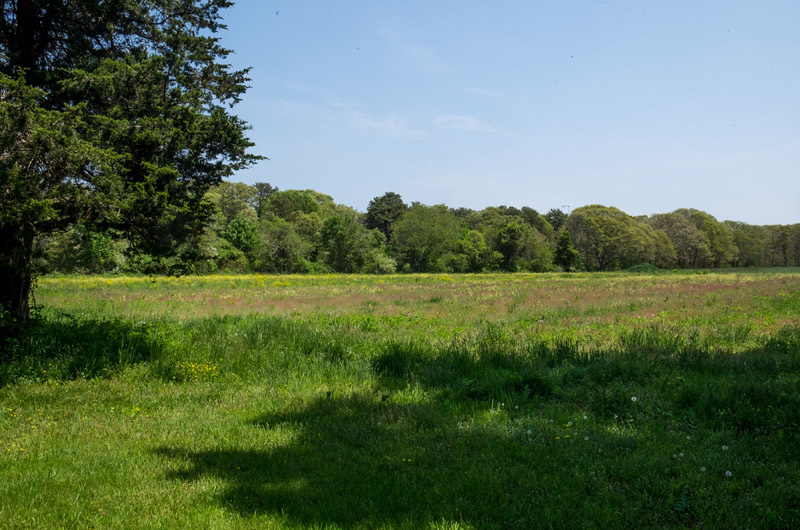 (At an earlier planning board meeting in West Tisbury, festival director Thomas Bena had revealed plans for a 6,000-square-foot event space on the property.) The plans triggered a wave of outrage, with online comments and letters to the editor accusing the festival of desecrating the town’s rural character. But Mr. Bena held firmly to course. 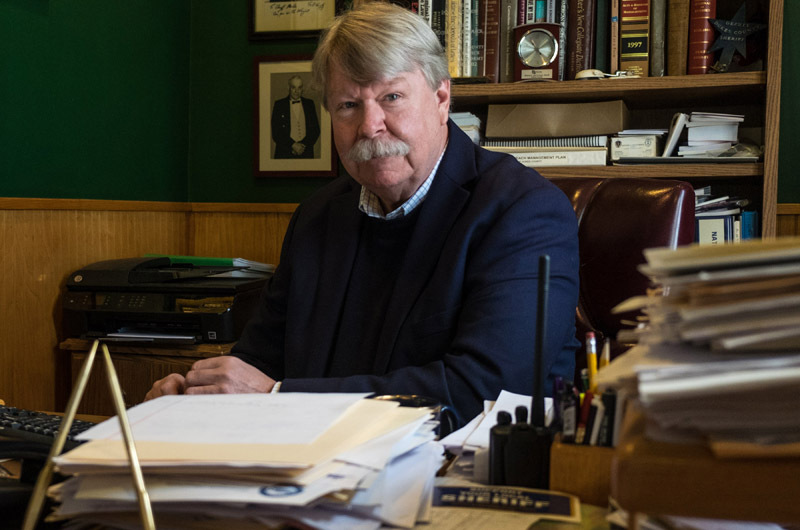 “There’s no question in our mind that it’s the right property for us,” he told the Gazette in June, as the controversy was reaching its height. A story on the Gazette website a week earlier attracted more than 140 comments, most of them critical. Debate spilled out into a public meeting in West Tisbury, with town selectman Richard Knabel eventually requesting that the festival stand down. The festival did finally abandon its plans, but was unable to find an alternate buyer for the property, which it purchased in June for $1.4 million with plans to resell. “We heard the neighbors and the community pretty clearly that this is not the right spot,” festival managing director Brian Ditchfield told the Gazette at the time. The decision ended the ordeal as abruptly as it had started, and residents seemed eager to move on. A couple of weeks later, Mr. Bena’s first feature-length documentary film, One Big Home — covering a 10-year crusade against the proliferation of oversized houses on the Vineyard — had its Island debut to a capacity crowd at the Chilmark Community Center. 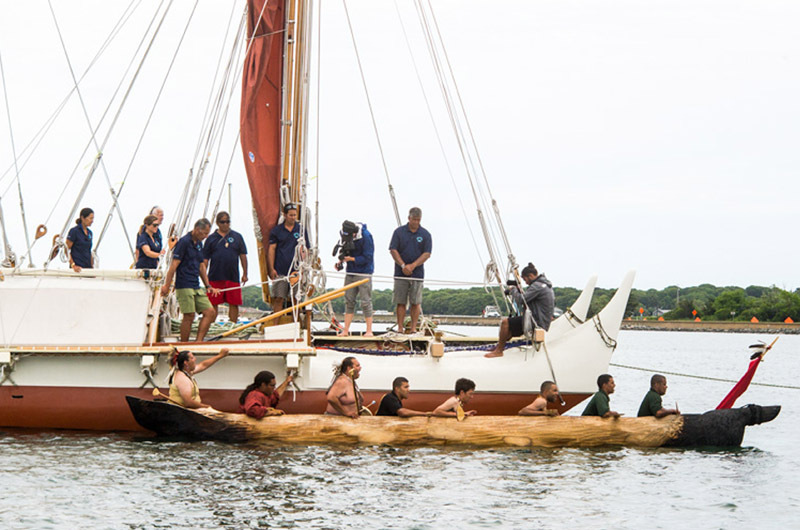 The film has since shown in many locations around the region and elsewhere, and recently won the Audience Award at the Hamptons Take 2 Documentary Film Festival. Several other Island institutions also unveiled ambitious initiatives this year. The Martha’s Vineyard Museum and Martha’s Vineyard Ice Arena both launched major public fundraising campaigns. The museum hopes to relocate to the former Marine Hospital in Vineyard Haven, and the arena hopes to revamp its 40-year-old building in Oak Bluffs. Both organizations also saw a change in leadership. Former Audubon Pennsylvania director Phil Wallis took over from David Nathans as museum executive director in the winter. And former Martha’s Vineyard Boys and Girls Club director Peter Lambos took over the top spot at the rink as part of a new partnership between the rink and the YMCA of Martha’s Vineyard. The museum resumed its stewardship of the Gay Head Light, which was itself relocated last year — despite a concerted push by a group of Aquinnah residents to assume the role. The town selectmen chose the museum, although a brief flurry of controversy surrounded the method for scoring the two applications. The 1856 lighthouse had taken the spotlight last year when it was moved 129 feet inland from the eroding cliffs at the western tip of the Island. The move continued to reverberate in Aquinnah, with efforts to breathe new life into the Aquinnah shops just up the road (three new shops opened this year), and a major planning effort last winter outlining possible improvements to Aquinnah Circle. The area around the Circle, including the lighthouse and Moshup Beach, was named a cultural district by the Massachusetts Cultural Council in January, adding momentum to the efforts throughout the year. A town committee is now working on a long-term plan to restore the lighthouse. Historic preservation was also a theme in Edgartown, where the town reestablished the originally proposed boundaries of its historic district. It is now twice as large and encompasses more of the village west of the harbor. The boundaries had been truncated in the 1980s to help ensure voter approval when the district was first proposed. 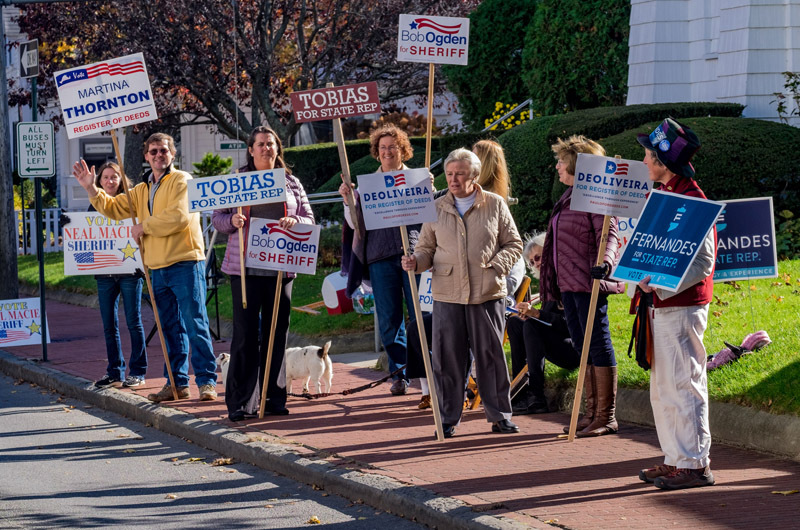 Perhaps as a reflection of increased development in the village since then, voters easily adopted the new boundaries at the annual town meeting in April. But some houses on the Island weren’t so lucky. Islanders briefly rallied around efforts to save a well-known Revolutionary War-era house in Chilmark known as the Great House. The owner had sought permission to tear the house down, given its poor condition and the nine years it had spent on the market. The Chilmark historical commission placed a six-month delay on the request, but with no other options, finally granted the demolition permit in October. On East Chop, Islanders watched in September as a 1928 summer home known as Big Bluff was torn down to make room for another house on the property. Some less historic but well known buildings also bit the dust, so to speak, including the Katama General Store, whose owners plan to build a larger replacement before summer. In Vineyard Haven a long-dilapidated barn near the Five Corners, perhaps best known for its mural of octopus arms emerging from behind a garage door, was also torn down. Martha’s Vineyard Airport manager Ann Crook took the first swing with a sledge hammer when it came time to replace the airport’s dilapidated airport rescue and fire-fighting building in October. The project is one of several that have marked a new era for the airport, where a newly-appointed commission last year helped transform the airport culture from within and address a number of Federal Aviation Administration deficiencies that had come to light. Last year, the commission negotiated a severance package with former manager Sean Flynn, hired Ms. Crook, and promoted three respected employees to top positions. As a result, employees and commissioners this year noted a 360-degree turn for the organization, with greater transparency and responsiveness all around. “We are in the process now of really beginning, for the first time in quite a few years, to reach out to the public,” airport commission chairman Myron Garfinkle told the Gazette in August. One possible demolition has loomed over the Island, with Oak Bluffs building inspector Mark Barbadoro issuing multiple notices for the historic Island Theatre on Circuit avenue. An independent structural engineer and official board of survey this year both declared the building dangerous. “The thing is coming apart,” Mr. Barbadoro told the selectmen in December, adding that he would be uncomfortable seeing it stand another summer without the necessary repairs. The selectmen refrained from taking immediate action at the time, and requested a formal report. The Island’s two other historic movie theatres, the Capawock in Vineyard Haven and the Strand in Oak Bluffs — also owned by the Hall family — were brought back to life last year following an ambitious fundraising campaign. 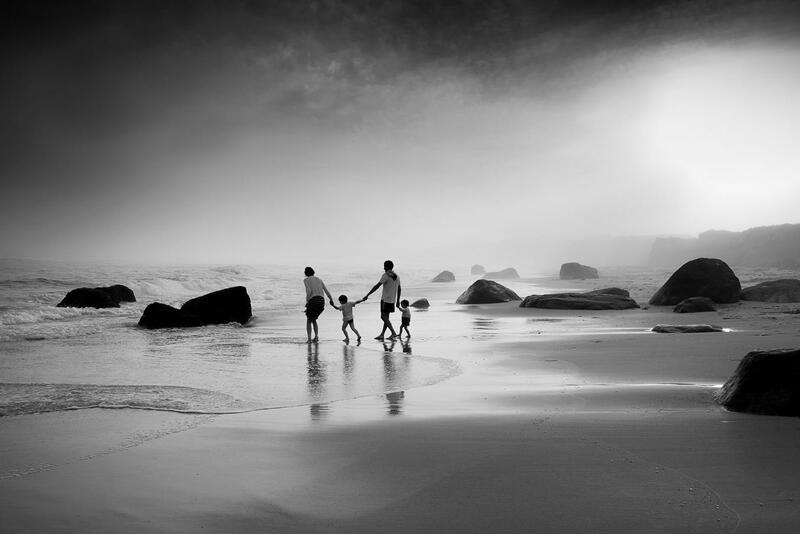 Organizers had planned only to spruce up the exterior of the Island as part of a separate agreement with the family. 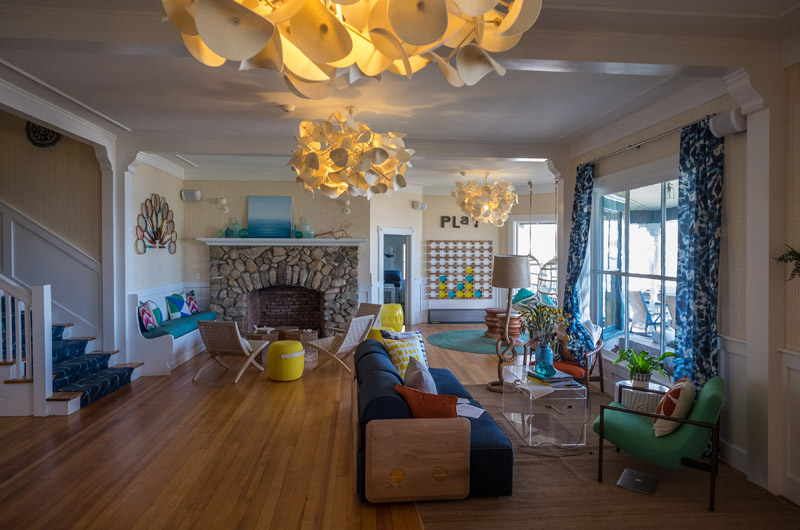 Another historic establishment in Oak Bluffs, the former Wesley Hotel, got a new look this year when it was purchased by Lark Hotels and transformed into Summercamp, a boutique hotel with an upscale atmosphere mixed with astroturf, bright colors and various camp-themed ephemera. Other businesses came and went during the year, with some doing both. Coffee drinkers mourned the nine-month closure of Mocha Mott’s in Oak Bluffs as it dealt with water damage — and turned out in droves when it reopened in the fall, many leaving with a fresh cup of coffee and a free T-shirt that said, “I survived the summer of 2016.” In Edgartown, The Newes from America also closed for summertime repairs, and reopened in the fall. 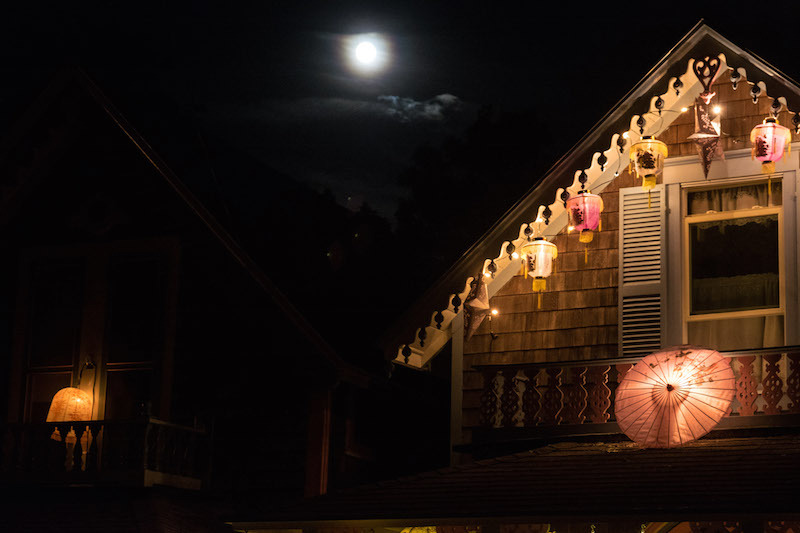 And in Woods Hole, Pie in the Sky — a popular destination for wayfaring Islanders — has closed for renovation this winter. An especially dry summer didn’t benefit the Island’s flora and fauna, nor did the disappearance of Smokey Bear from the state forest wildfire-alert sign in Oak Bluffs in January, although a new Smokey appeared a few weeks later, this time attached securely to the sign. In any case, the lack of rain meant an abundance of beach days, which likely contributed to another bustling tourist season. In July, the Steamship Authority reported a 10.2 per cent spike in vehicle traffic on ferries, with passenger traffic also up over the previous year. 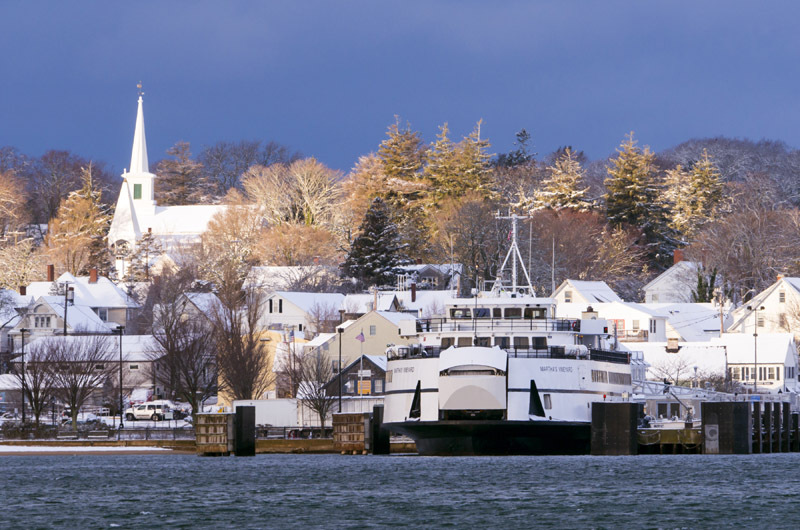 On the cusp of summer, some noted a gradual shift toward a three-season Island economy — as indicated by Steamship Authority data, room occupancy and other measures — but also pointed to the continued need for year-round housing and jobs to support the transition. “We are at a critical juncture because housing is a crisis issue,” Martha’s Vineyard Chamber of Commerce director Nancy Gardella told the Gazette in April. She and others noted a strong upswing in the summer economy since 2013. In June, a new $40 million Steamship Authority ferry, about three years in the making, arrived from a shipyard in Louisiana. 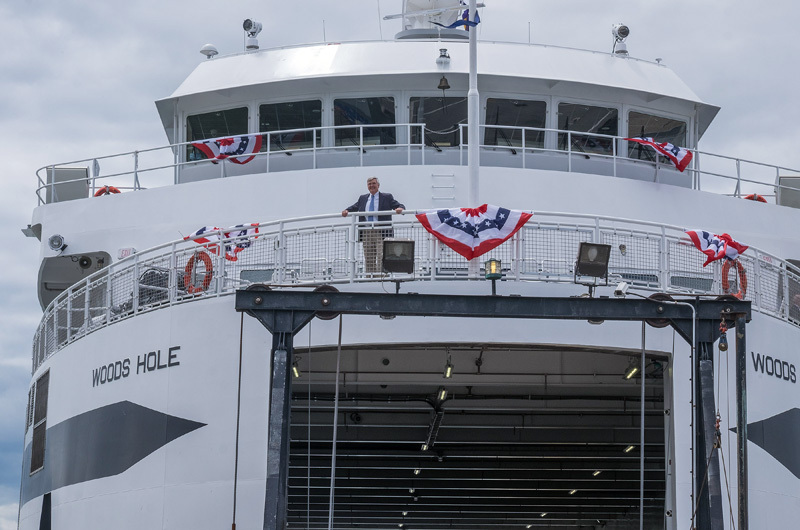 Among those aboard the ferry Woods Hole for its ceremonial maiden voyage to the Vineyard was SSA general manager Wayne Lamson, who later announced he would step down after 48 years with the organization and 12 at the helm. SSA treasurer Robert Davis was named his successor in October. 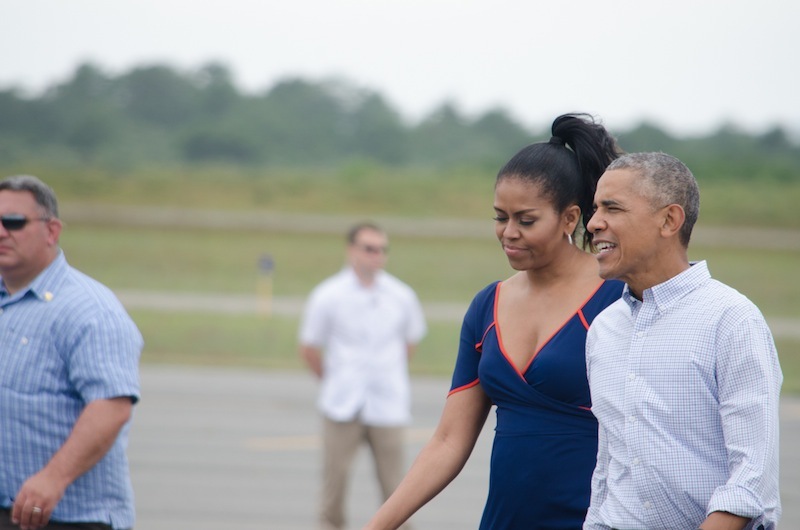 And in August, President Obama and his family enjoyed their last presidential vacation on the Vineyard, departing from the Martha’s Vineyard Airport after a quiet two weeks that included the usual rounds of golf and nights on the town. This year, Mr. Obama also made an appearance at a private fundraiser to stump for Democratic presidential candidate (and Island visitor) Hillary Clinton. Spending was up in all six towns this year, with much attention focused on the up-Island regional school district that serves the towns of Aquinnah, Chilmark and West Tisbury. Some leaders in West Tisbury have argued their town pays more than its fair share based on an agreement among the member towns. Committees in West Tisbury and Chilmark both issued reports on the matter, and officials in all three towns have taken steps to reexamine the agreement. The Martha’s Vineyard Regional High School continued to grapple with its aging facility, with ongoing issues related to mold, poor insulation, ventilation and rodents. Longtime math teacher Kenneth DeBettencourt resigned at the start of the school year, citing mold and other issues that he said have affected his health. The school committee has been discussing the issues for months and is still working on a plan. Publicly, at least, the building issues were overshadowed by a more controversial proposal to develop an Island sports complex at the high school, including artificial turf fields. In April, a community group called MV@Play pitched the idea of a public-private partnership to the school committee, which has since agreed to move forward with phase one of the plans, which include an artificial turf field for women’s lacrosse and field hockey. The proposal triggered yet another wave of opposition, eventually leading the Chilmark and West Tisbury selectmen and MV@Play itself to refer the project to the MVC for review. Meanwhile, debate has simmered, with wide-ranging concerns about the health and environmental safety of artificial turf. Advocates maintain that the new surface would require less maintenance and be cheaper in the long run, and have downplayed the risks. Official data on both sides is limited. However, data on a variety of topics was in abundance this year, with surveys and studies related to housing, the elder population, opioid addiction and tick-borne illness painting a more detailed picture of Island needs and values. At least three surveys dealt with the housing issue, including one by Healthy Aging Martha’s Vineyard early in the year that will help set the course for elder programs and services, and another by the MVC that highlighted the stark need for year-round rental housing. A two-week study by graduate students in the Rural Scholars program at University of Massachusetts revealed a tangled web of services for people struggling with addiction on the Island, but also pointed to a number of possible improvements for how those services could interact more effectively to address a growing opioid epidemic. Among the results of the ongoing efforts on the Island, public schools will now resume their efforts to emphasize addiction prevention, and an internal training program at the Martha’s Vineyard Hospital aims to reinforce an understanding of addiction as a disease. By year’s end, Island towns counted a long list of retirements, including assistant town administrator Aase Jones and harbor master Jay Wilbur in Tisbury, and animal control officer Joan Jenkinson in West Tisbury. Dukes County sheriff Michael McCormack and register of deeds Dianne Powers both retired this year, with voters electing special sheriff Robert Ogden and assistant register of deeds Paulo C. DeOliveira (both Democrats) as their replacements. On the nonprofit front, Martha’s Vineyard Shellfish Group director Rick Karney, who founded the organization in the 1970s, later building a shellfish hatchery on Lagoon Pond, planned to transition to part-time work in the new year. 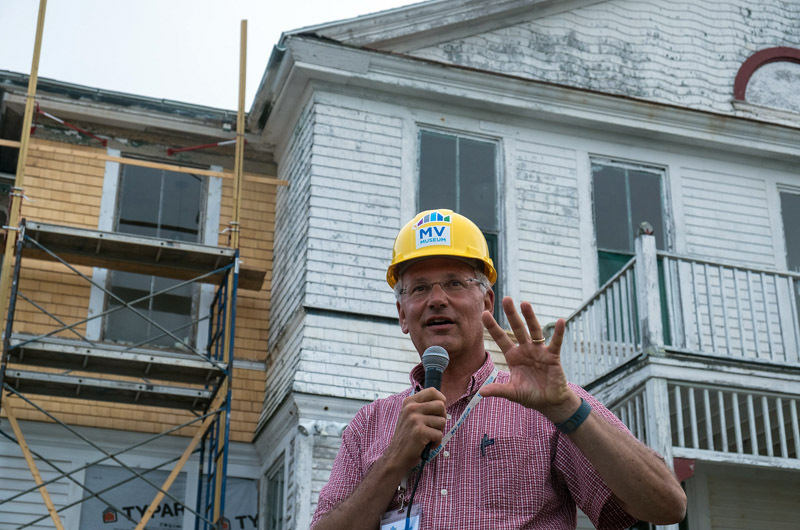 And Chris Scott announced he would step down as director of the Martha’s Vineyard Preservation Trust after 25 years on the job. Funi Burdick, former director of Canterbury Shaker Village in New Hampshire, was hired to replace him. 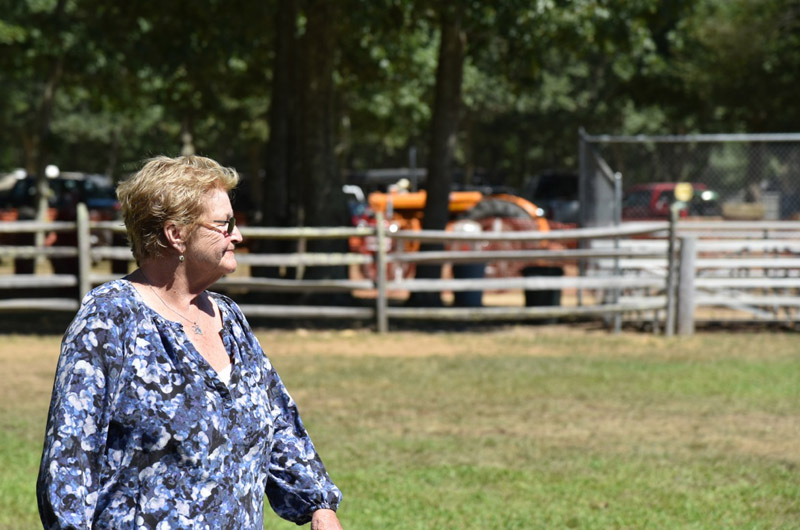 Islanders bid farewell to former Tisbury selectman Cora Medeiros, who died in May, and for whom the town has named a July 8 holiday coinciding with the Tisbury Street Fair that she helped to establish for the town’s tricentennial in 1971. 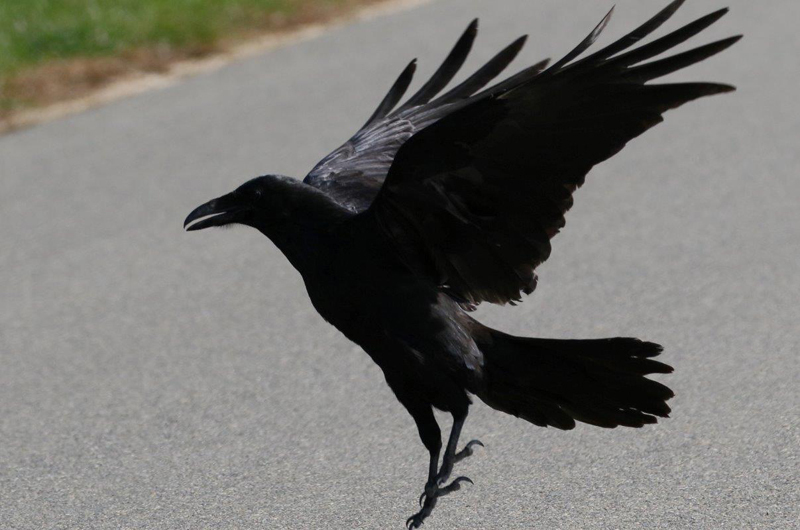 Other well-known residents who died include ornithologist Vern Laux in January, and stonemason Asa French, who died in April following a long struggle with addiction. Island historian Bailey Norton, who died in September, was descended from the first captain of the Charles W. Morgan, the last American wooden whaleship. Many also mourned the loss of commercial fisherman Luke Gurney, who died in a fishing accident off Nantucket in June. With departures of course came arrivals — including a slate of newly-elected county and state officials in a busy election year. From a field of eight candidates to replace retiring state Sen. Dan Wolf and Rep. Tim Madden, voters elected young Democrats Julian Cyr and Dylan Fernandes, respectively. In a crowded field to fill nine elected seats on the Martha’s Vineyard Commission, Richard Toole of Oak Bluffs was the only new arrival, with eight incumbents maintaining their seats. New on the Dukes County Commission this year is Robert Zeltzer. At the regional high school, Sara Dingledy, former principal of Westchester Square Academy in New York, arrived for her first year as principal following the departure of Gil Traverso last year. Other arrivals included Megan Farrell, new principal of the Oak Bluffs School; Rebecca Haag, the new director of Island Grown Initiative; Jessie Damroth, the new director of the Martha’s Vineyard Boys and Girls Club; and Joe Woodin, who took over as president and CEO of the Martha’s Vineyard Hospital in May. On the national front, the Island found itself in the minority in the presidential primaries and general election. A majority of voters in every town went for Bernie Sanders in the primary and Hillary Clinton in the general election. It was among the most heated presidential elections in modern time, and the left-leaning Vineyard was far from a silent spectator. Throughout the summer, high-profile forums, lectures and other events touched on the implications of a Donald Trump presidency, with many leading thinkers and activists weighing in, including author and linguist Noam Chomsky, Harvard professor and summer Vineyard resident Henry Louis (Skip) Gates, Washington Post columnist E.J. Dionne, and others. 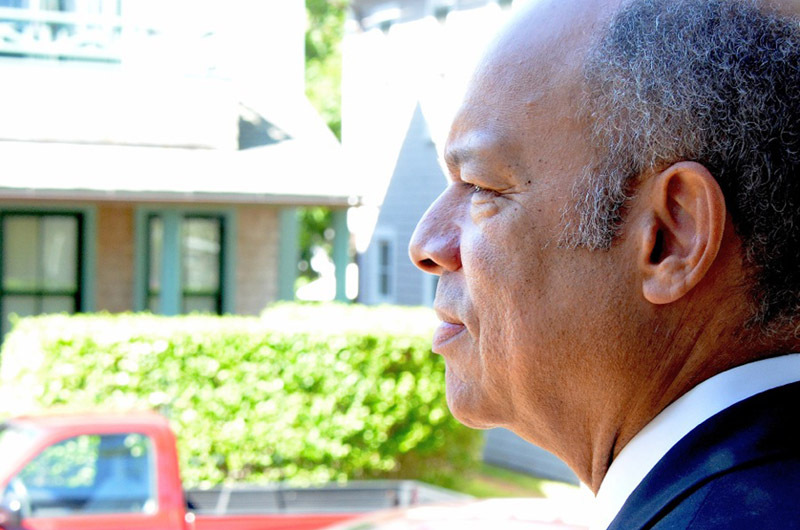 At the annual forum in Edgartown hosted by the Hutchins Center for African and African American Studies at Harvard, which Mr. Gates also directs, a panel of U.S. journalists and commentators inveighed against Mr. Trump and the Republican party in light of widespread racial tensions and a divisive campaign season that saw minorities often labeled as a threat. “This is a point in time when African Americans, when black voters essentially say farewell to the party of Lincoln for what amounts to forever,” panelist Leah Wright Rigeur, an assistant professor of public policy at Harvard, said at the well-attended forum at the Old Whaling Church in August. 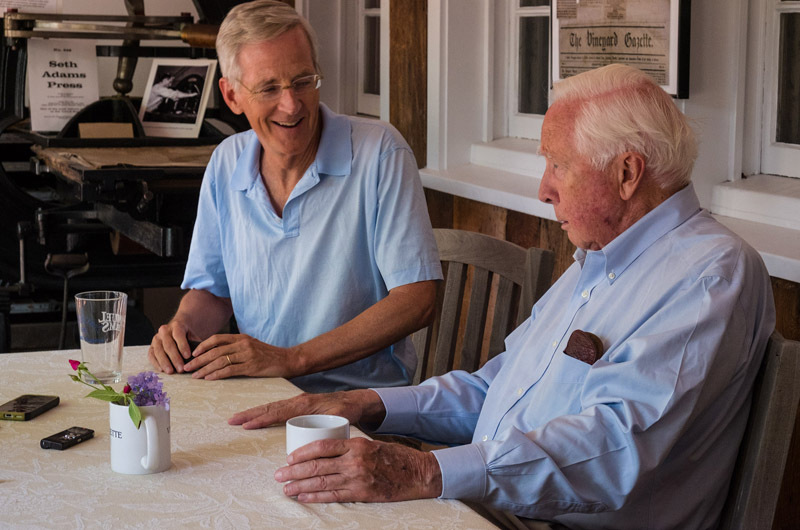 Pulitzer Prize-winning historian and West Tisbury resident David McCullough, who said he has never publicly weighed in on a presidential election, aired his concerns about Mr. Trump in a rare interview with the Gazette. “I can’t stand by and watch,” he said during a conversation with fellow author and historian Evan Thomas in August. 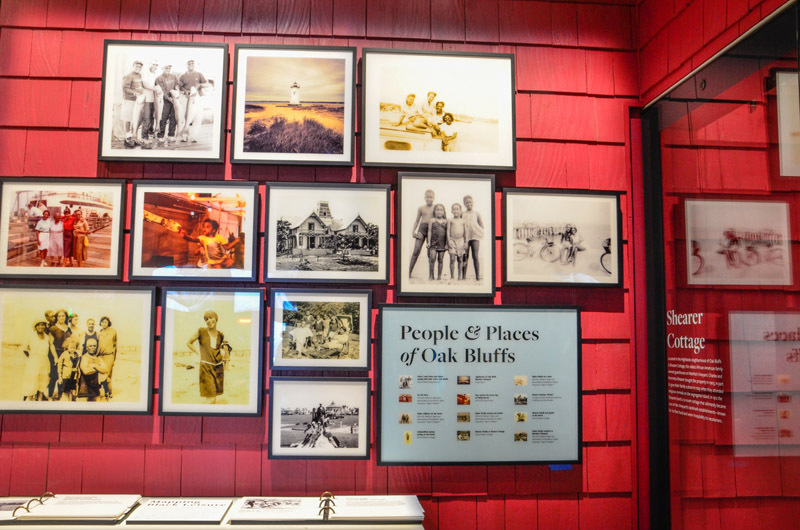 A month later, many paused to celebrate the opening of the Smithsonian’s National Museum of African American History and Culture in Washington, D.C., whose dozens of exhibitions include one dedicated to Oak Bluffs. A portion of the Shearer Cottage in the Highlands section of Oak Bluffs — complete with the wicker chairs and table that once sat on the porch — is reproduced in the exhibit, and displayed along with stories, photographs and other artifacts highlighting the experience of leisure in the era of segregation. Also in Washington, Mr. Obama honored many citizens for their contributions to U.S. culture and society. 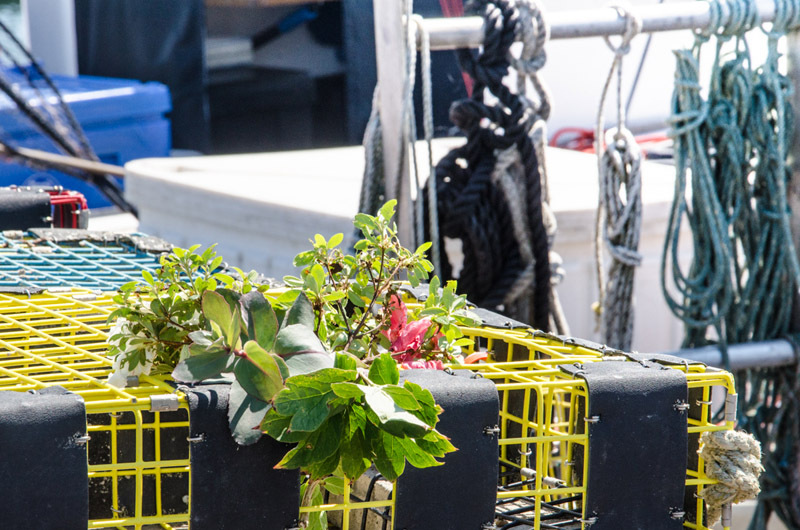 Among them was Vineyard native Alan Lovewell, honored as a Champion of Change for his work as CEO of Real Good Fish, which advocates for sustainable fishery practices and connects fishermen and students in the classroom. Mr. Obama also honored singer James Taylor, who got his start at cafes on the Vineyard as a teenager, and five other well-known performers at the Kennedy Center gala and awards ceremony in December. Other Islanders were acknowledged near and far for their accomplishments. 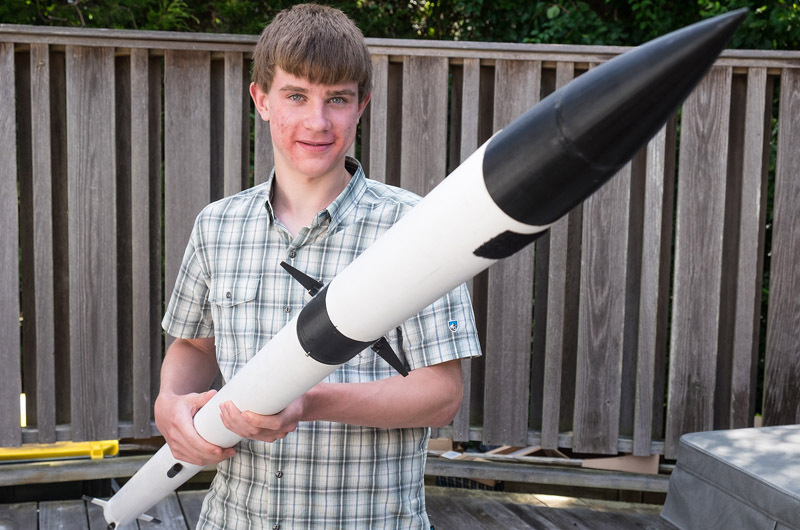 High school student Charlie Fenske of Edgartown received a top award at Google Science Fair 2016 for a project looking at synthetic jet actuators, which could help improve full-size rockets. Island chef Chris Fischer won a prestigious James Beard award for his Beetlebung Cookbook, published last year. 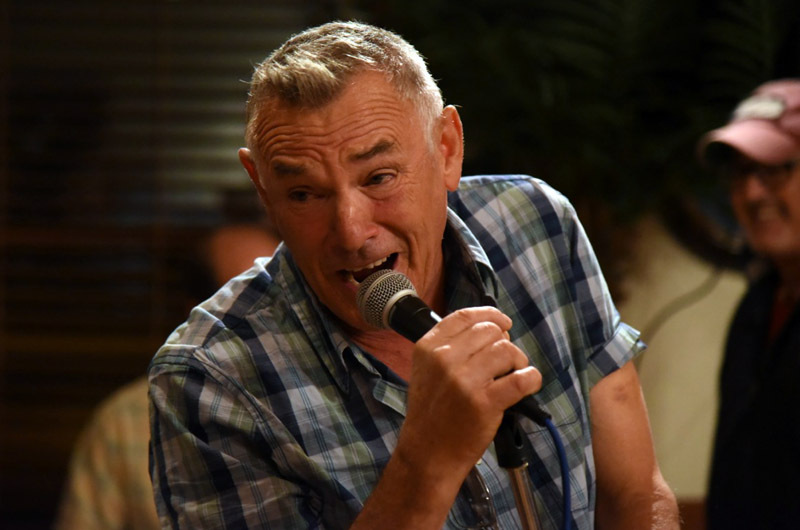 Musician, shellfisherman, stonemason and West Tisbury herring warden Johnny Hoy was the winner of the Creative Living Award from the Permanent Endowment of Martha’s Vineyard, presented each year to a member of the community who enriches the quality of life on the Vineyard. At a ceremony in October, friends vouched for a life lived fully and in many cases outside the box. Later taking the stage with his band, Johhny Hoy and the Bluefish, the guest of honor preferred to let his music do the talking, but added a few words of gratitude. Thank GOD we will never have to see, read or hear about Obama ever coming here again! Sorry to inform. The President will likely return :-) whether the Gazette will cover is a completely separate issue. I would focus more on the comings and goings of a certain Resident of Trump Tower than a former president. What a horrible comment! Obama and his family have been the role models for grace, intelligence, decorum and family values, unlike so many of the extremists Republicans, come on. Just such a wrong comment on so many levels. 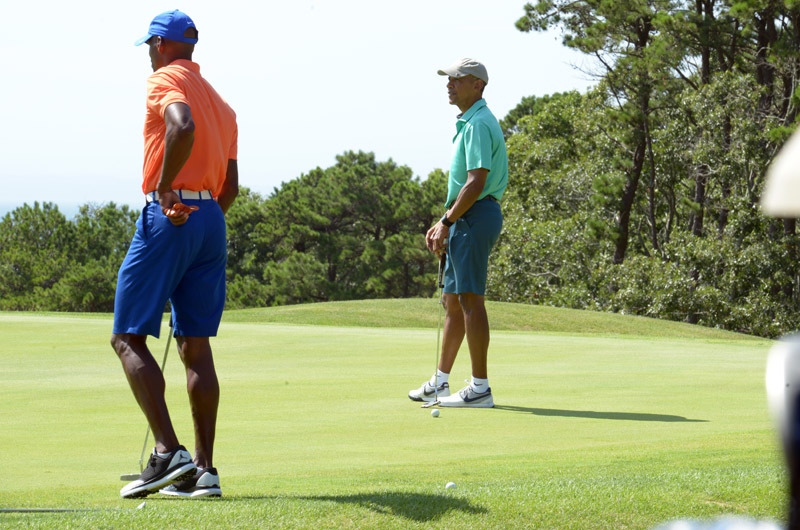 In response to WWW of Tisbury thanking God regarding President Obama's departure from the island; do you disdain our President to such a degree because you don't like his progressive politics; maybe his golf game isn't to your liking; or perhaps because he is African-American ? Your comment only fans the flames of the bitter divide which diminishes our community and our country. W.W.W. : what a peculiar set of priorities you have. Mr. Obama seems to be a man of conscience and tolerance and a force for good. I for one am delighted he could enjoy some downtime on my beloved Vineyard. With President Trump in the offing I'm sure there will be more for you to invoke God's help with in the near future. You can see why Phil Craig found ingenious plot twists here on the Vineyard for his mysteries. I've tried to follow in his (large) footsteps. This Island is a perfect setting with its strong characters and their interesting behavior. For the Victoria Trumbull mysteries I've stolen both characters and plots from the real goings on, but have had to tone them down to be more believable to readers. I hope the moped controversy has disapated. It's funny how they are labeled as dangerous when in many countries they are seen as essential. It's really that users don't understand how to ride them. If the issue is training then we should deal with root cause and not blame a motor vehicle that are used daily by millions around the world. By the same logic, automobiles kill roughly 30,000 yearly in the US so why not call for a ban on them. Thank you Mr Elvin for a wonderfully informative and comprehensive article.